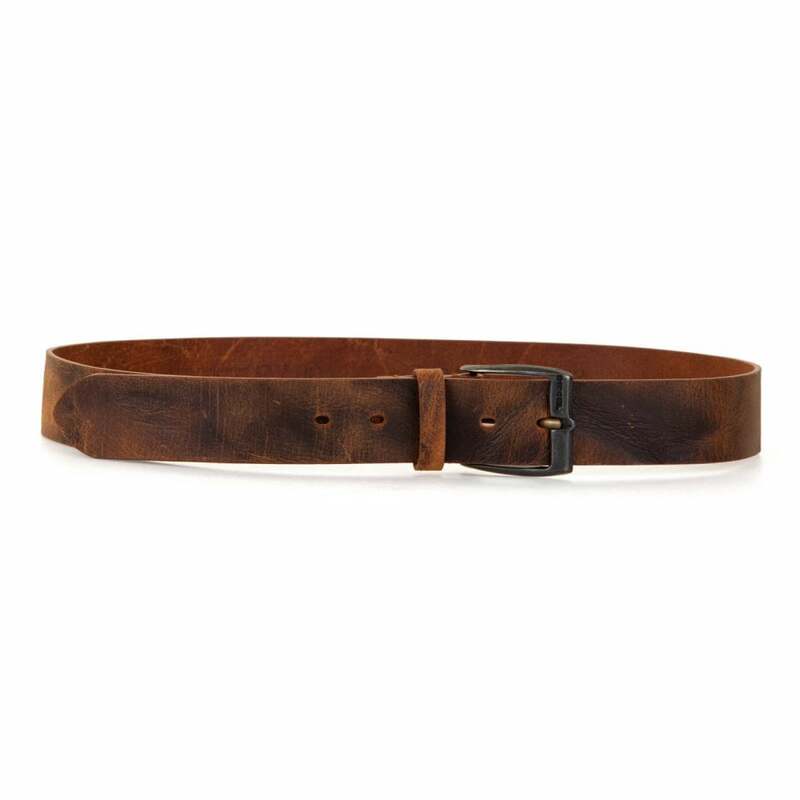 This Diesel B Whyz Leather Belt is 100% leather and tan brown in colour with a distressed pattern. It has a steel metal belt loop and prong. Diesel branding appears on the metal belt loop.